Many of our customers only need a birth alarm for a few weeks. After being asked abut hiring the foal alarms on multiple occasions, we finally invested in a few for rental purposes. The Foal Birth Alarm allows you to rest, knowing that you will be informed the minute your mare gets contractions, making sure you don't miss the moment and can be there to help if required. 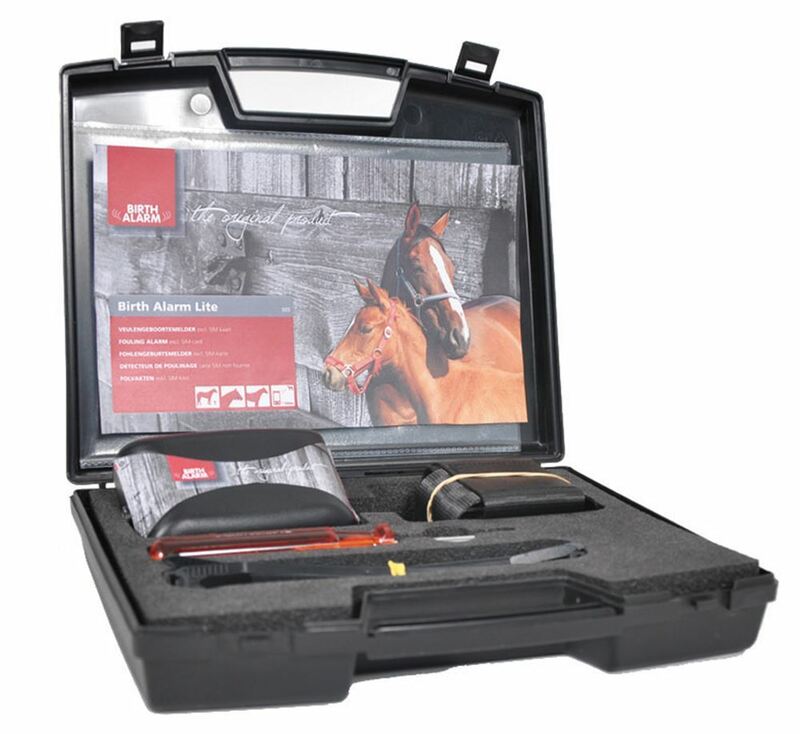 This helps to keep both your mare and foal safe, should there be any problems during the birth. The Foal Birth Alarm Lite attaches to your mare's bridal and is motion activated (no need for invasive insertion or specialist help). When the alarm detects labour motion, it will send an SMS to up to 2 mobile phones (or call a landline). You do not need wifi - but you do need to ensure there is mobile signal where your horse is located. The alarm is made by Gallagher and is highly reliable and respected. The Foal Alarm Lite is easy to use and gives you peace of mind that you won't miss the moment and can keep your horses safe. £50 rental charge per week, up to a maximum of £200 (so if you need if for 2 months, you will only be charged £200). Rental period goes from the day you receive the alarm, to the day we receive the alarm back. Please note that the Foal Birth Alarm Lite alarm does not come with a SIM. You can purchase a SIM from any phone shop, very cheaply. Must be returned to us within 2 months, or you will own the alarm! You are responsible for returning the alarm. Must be returned in good, clean working order. If the alarm is not cleaned there will be a cleaning fee of £30. There is a £379.99 deposit. Rental fee will be taken from £379.99 deposit. Funds will be returned to your account within 5 working days of receiving the alarm back in good working order. You may choose to keep the alarm, if you wish.